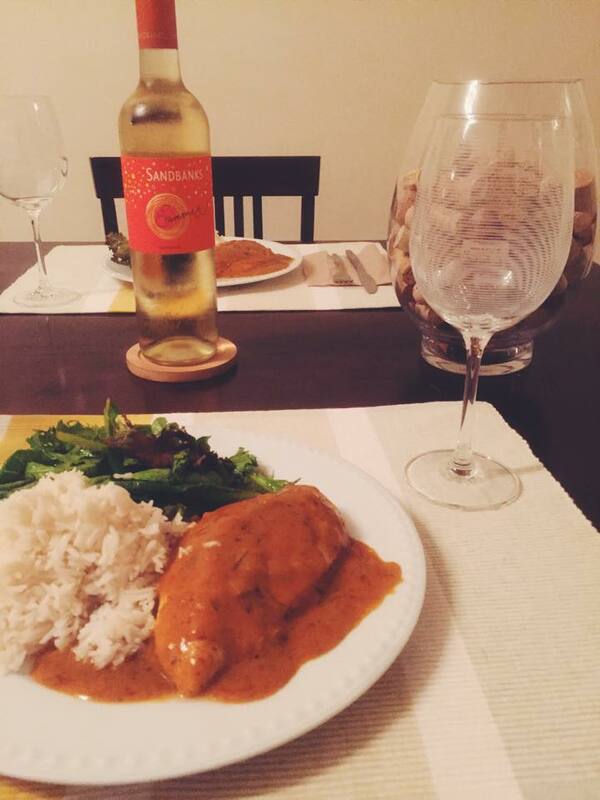 A butter chicken curry dish with basmati rice and a mixed greens salad. I paired this dish with Sandbanks “Summer” Blend. 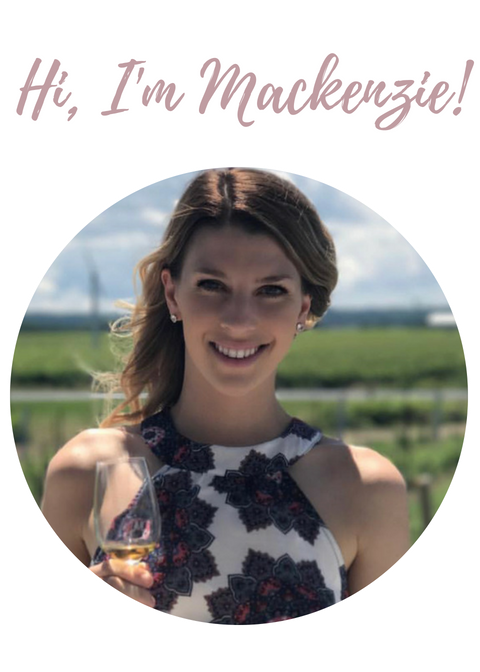 This white wine has refreshing acidity, pale aroma, and is exactly what you should pair any curry dish with. The medium sweet, off-dry, fruity taste pairs extremely well with the buttery, mildly spicy dish. The rule of thumb with any curry dish is to keep it simple. They usually recommend a riesling or a gewürztraminer to balance the flavour and spice factors. 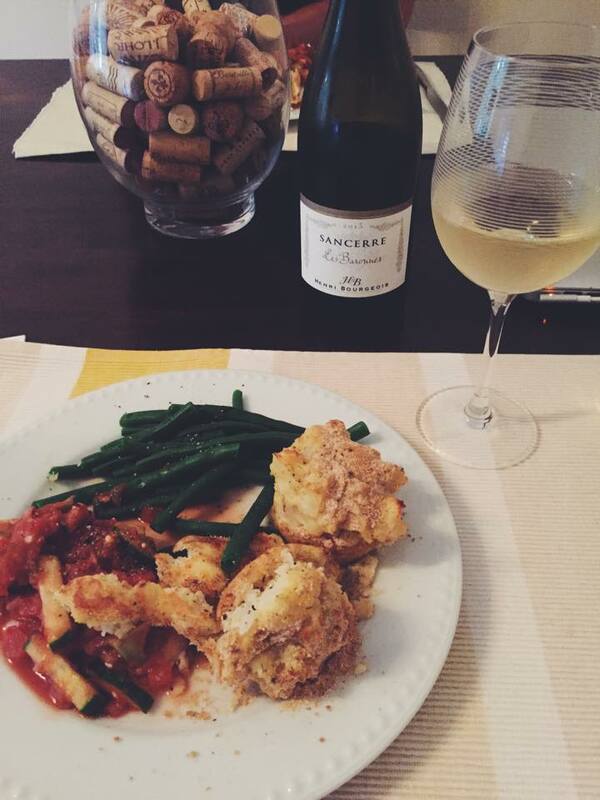 Summer by Sandbanks is a gewürztraminer blend and added all the flavour to this dish. So far: this dish was my favourite! I was on a health kick this day. So no wine pairing, just a simple Nestle sparkling water with lemon flavour. Shopping in the supermaché’s of Quebec can be really great. I found a large package of cooked shrimp for $6.00 and they were a good size. I pan seared these with some garlic, butter, oil, chilli flakes and pepper. 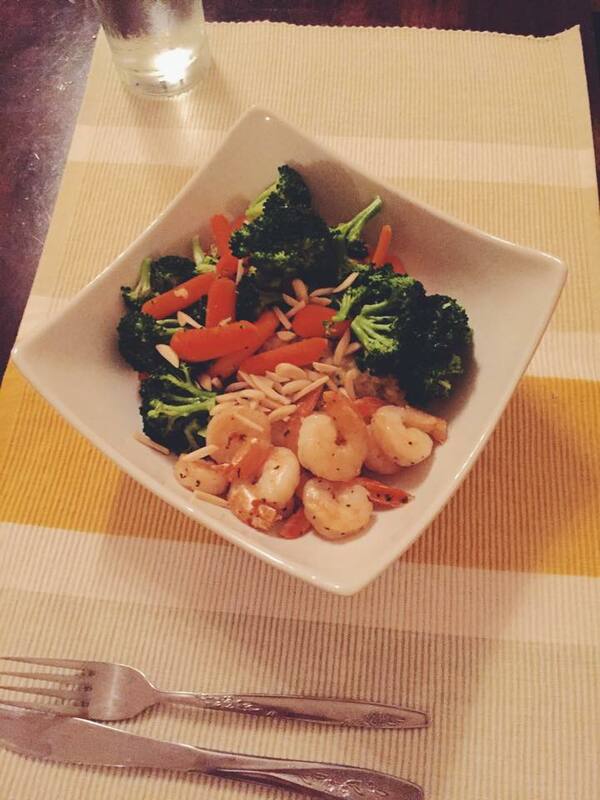 While the shrimp were searing, I made some parmesan risotto, and steamed some broccoli and carrots. To top the dish off, I sprinkled some almonds to add an extra crunch. This one took some prep time! I chose to make an oven baked tilapia with an avocado, cucumber salsa, green beans and panko crusted parmesan and dill potato cakes. The tilapia is baked in the oven for about 20 minutes in slice lemons, a small amount of butter (mostly to sauce the dish) and some salt and pepper for taste. The potato cakes were a little more complicated and done ahead of the tilapia. I cooked 4 large potatoes until soft, then mixed them in a bowl with egg, spices (dill, garlic and parmesan), onions, and a little bit of milk. I then placed them in a muffin tin (using an ice cream scoop) and covered them in bread crumbs. Okay, we all get a little lazy sometimes! 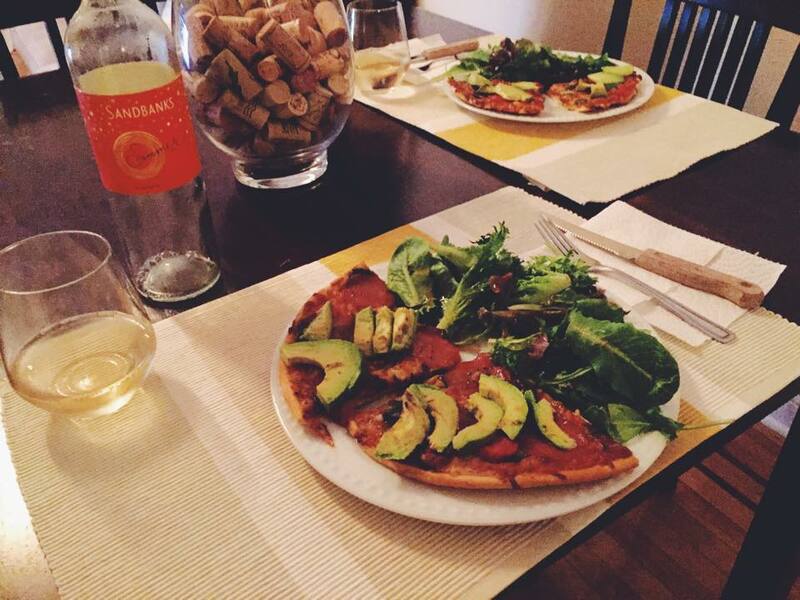 Buuuut, this oven-baked pizza topped with sliced avocado and a mixed greens salad paired deliciously with the Sandbanks “Summer” and made for a great rainy night dinner. This one is also top of my list and I will definitely be making it again. 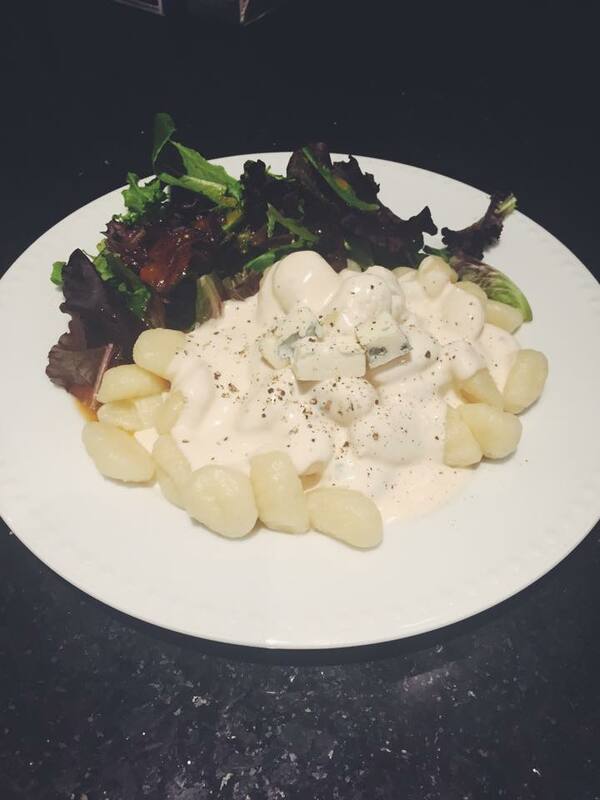 Gnocchi con Gorgonzola! A very simple dish that tastes incredible. The sauce (can be made many different ways) is just a bit of alfredo sauce, some half & half cream, and a sizeable chunk of gorgonzola heated on the stovetop until the cheese has completely melted. I topped this off with some smaller chunks of gorgonzola and some fresh cracked pepper. This can be paired with any white wine that has refreshing acidity, or even something a little sweeter. 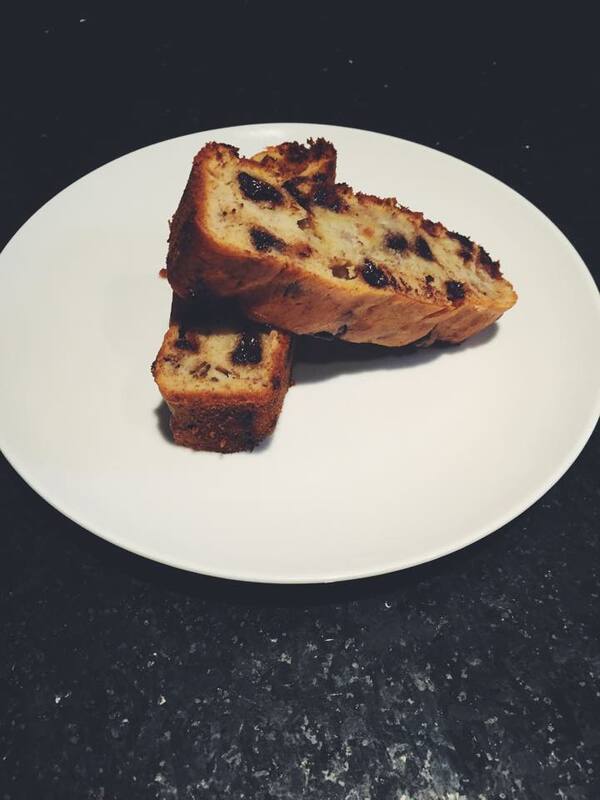 A little chocolate-chip banana bread! More to come after I cook up a storm. Love from Montreal!